Kristianna Lawless was a force to be reckoned with in both academics and athletics. Lawless earned her bachelor’s degree in Sport Management in 2016 and her master’s degree in Athletic Leadership from Castleton University. 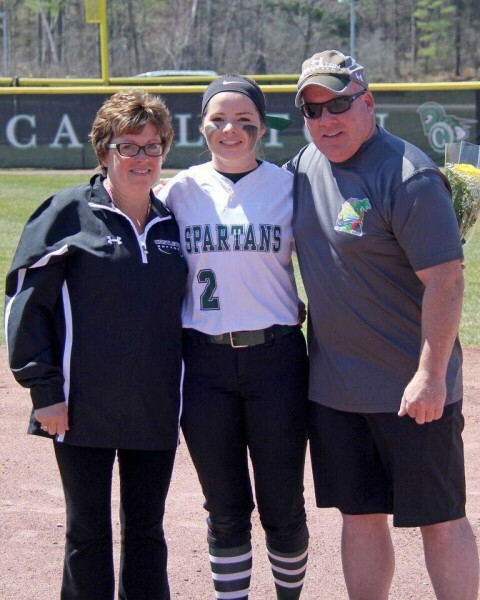 Lawless was a four-year member of the Spartan’s softball team — a team that won the North Atlantic Conference Championship her senior year — and a member of the volleyball team. She was a Phi Eta Sigma inductee and was involved in the student athletic advisory committee and the Castleton mentoring program. The Fort Montgomery, New York native is now working as a sales consultant for The Aspire Group at Army West Point Athletics, serving as the women’s sports specialist. “The amount of hands-on education and all my field experiences and internships allowed me to build the connections I needed to further my career and find a job in the industry right out of college,” Lawless said. To Lawless, being a Castleton alum means always having a tight-knit community to rely on for connections and networking, as well as a place she will always be able to call home. “One thing that I think makes Castleton unique is the student and professor relationships. You are far from just a number in a classroom, they go above and beyond to help you reach your goals and highest potential,” she said. Lawless hopes that current students take advantage of the opportunities provided to them. “My advice to current Castleton students would be to make the most out of every day there. Once you're gone, you will realize how amazing that place really is,” she said. “Take advantage of all the opportunities that are offered to you and as someone wise once said, ‘Make a difference at Castleton before you go out and make a difference in the world.’"